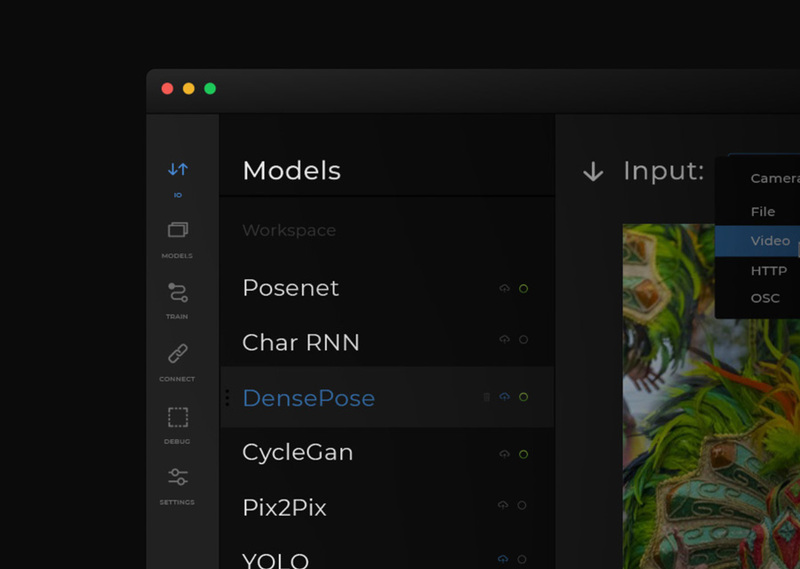 Building creative tools with artificial intelligence. Experimenting with Image-to-image translation for character animations. Interactive real time text to image generation using Attentional Generative Adversarial Networks (AttnGAN). A tool for collaboratively hallucinating a city using Generative Adversarial Neural Networks. In collaboration with Anastasis Germanidis. 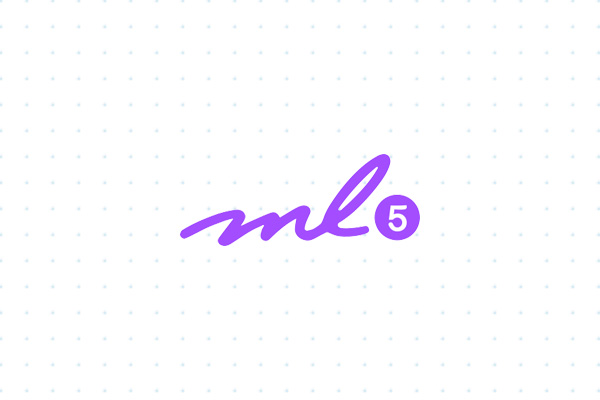 [Contributor] ml5.js aims to make machine learning approachable for a broad audience of artists, creative coders, and students. 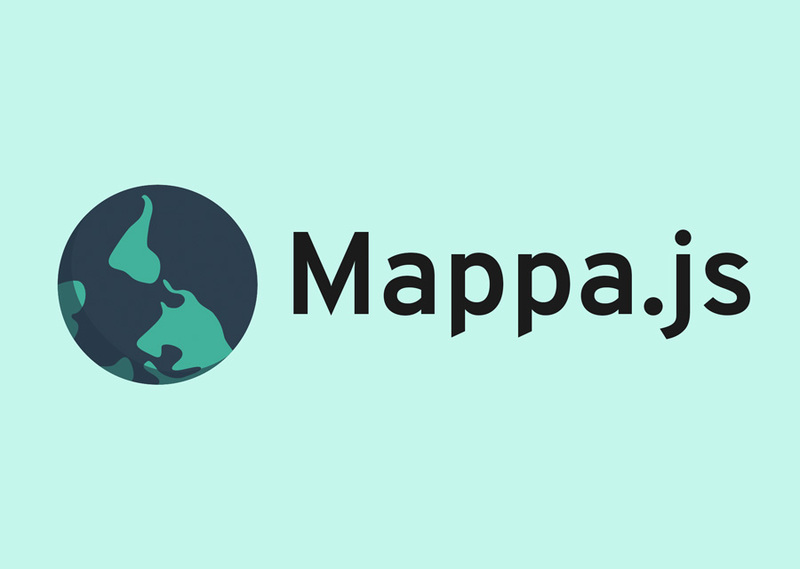 The library provides access to machine learning algorithms and models in the browser, building on top of TensorFlow.js with no other external dependencies. 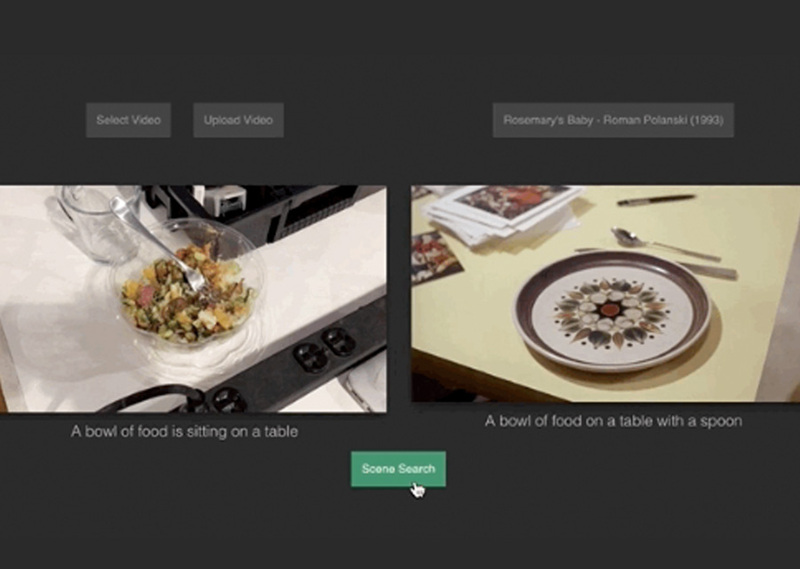 Scenescoop is a tool to get similar semantic scenes from a pair of videos. Basically, you input a video and get a scene that has a similar meaning in another video. You can run it as a python script or as a web app. 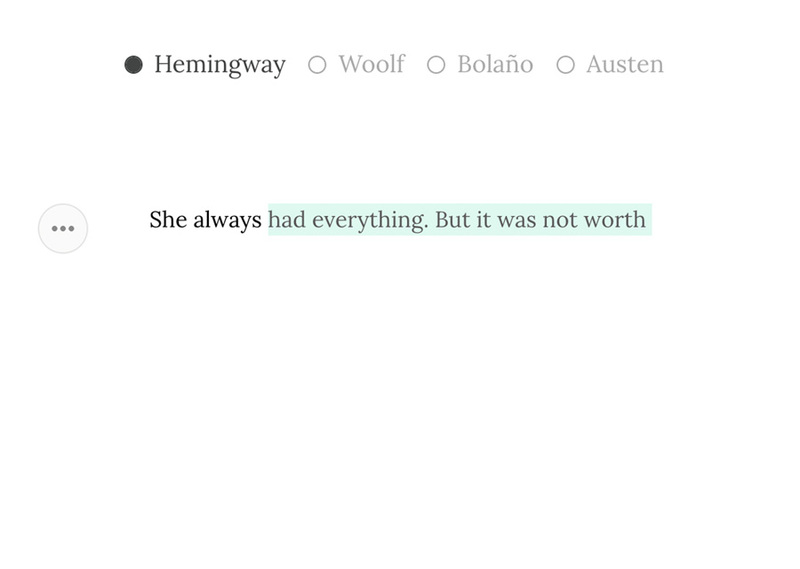 A interactive web based text editor that uses an neural network (LSTM) to suggest new sentences based on what write. 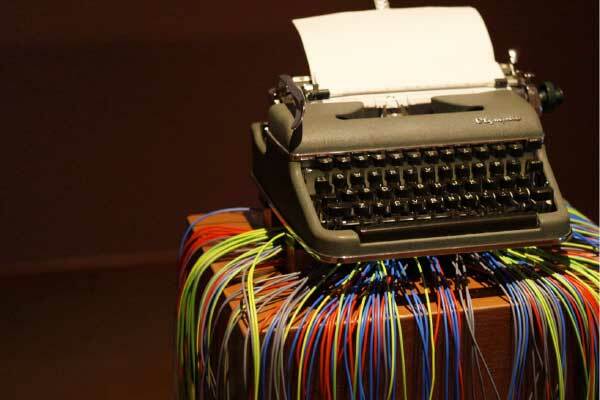 It allows to switch between in realtime between styles of different writes. The Show and Tell model is a image-to-text model for Tensorflow, developed by Google DeepMind, that takes an input and learns how to describe the content of images. 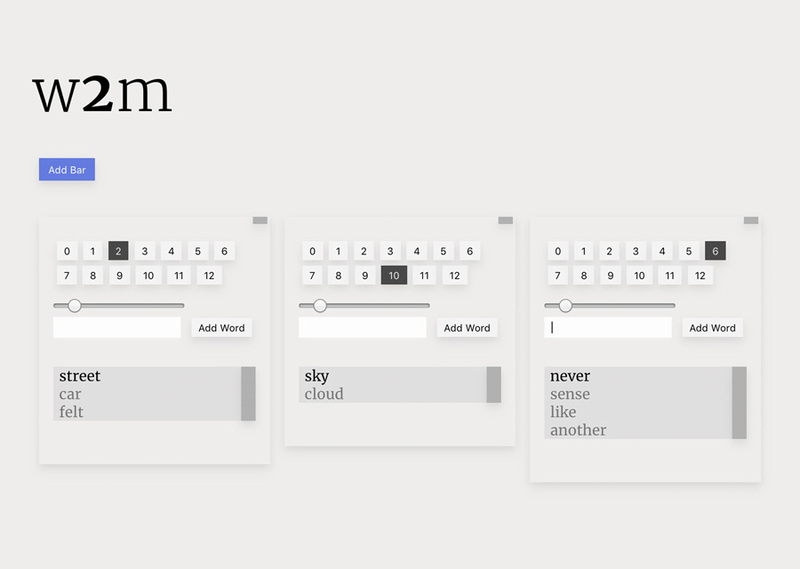 This experimental iOS app uses this feature to generate a series of captions and create a story. A physical interface and installation that allows to control and manipulate a projection with physical objects. Using physical wireless objects, birds are generated and animated in real-time. Each bird is created based on a image sent via text message. 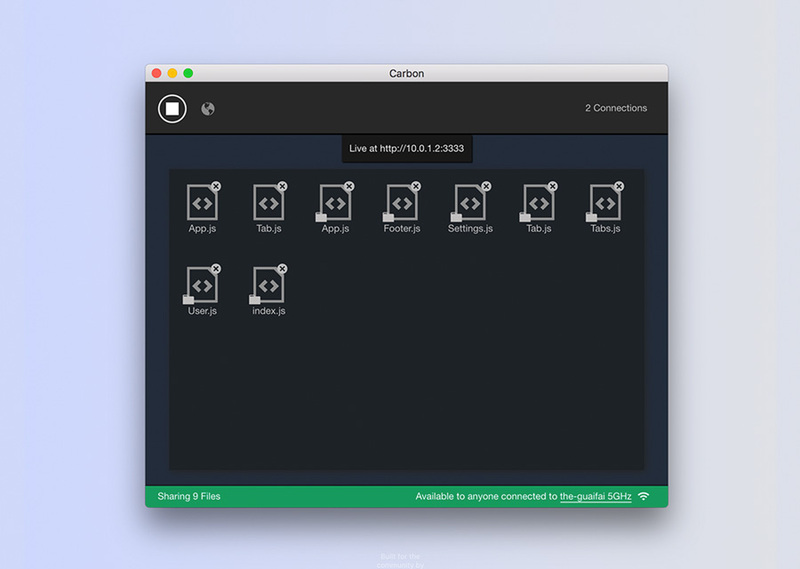 Carbon (from Carbon Paper) is a desktop app to share files. What makes Carbon different is that it watches files for changes and updates all connected clients in real time. 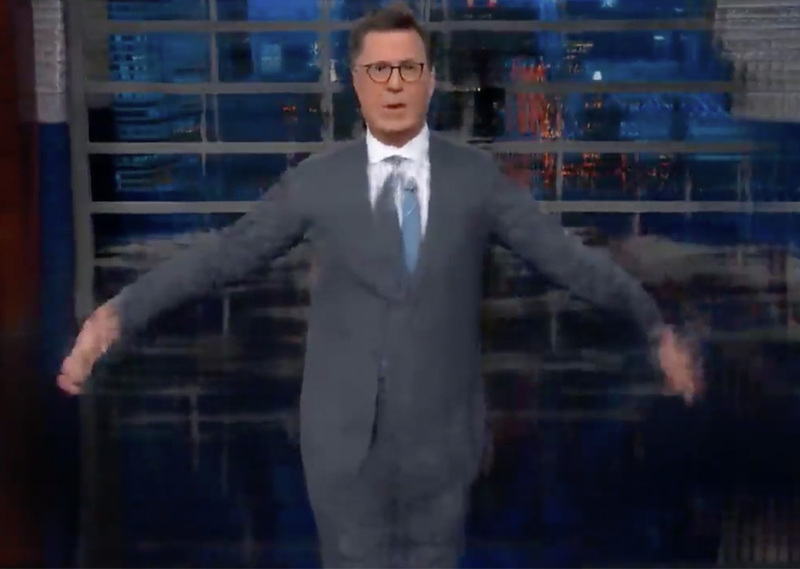 It was originally designed to use when teaching programming, showing code or when you need to share files with a live audience. A 24-hour web documentary that captures the everyday interactions and transactions of a small bodega in Queens, NY. 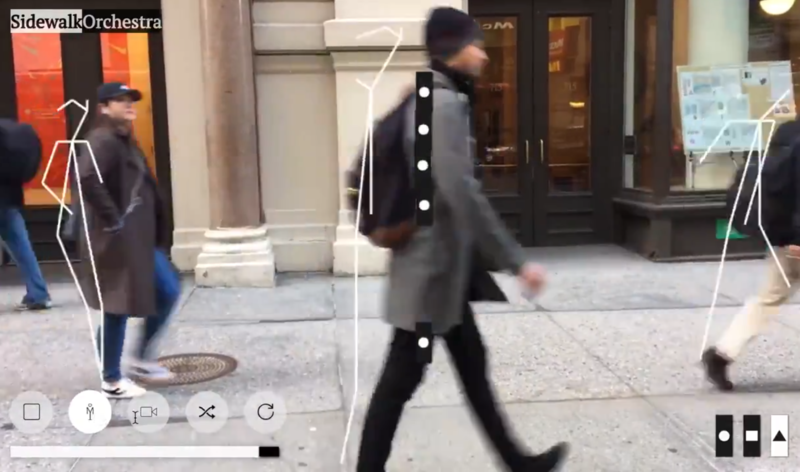 Experimenting with real-time pose detection to sonify a live stream of a sidewalk. 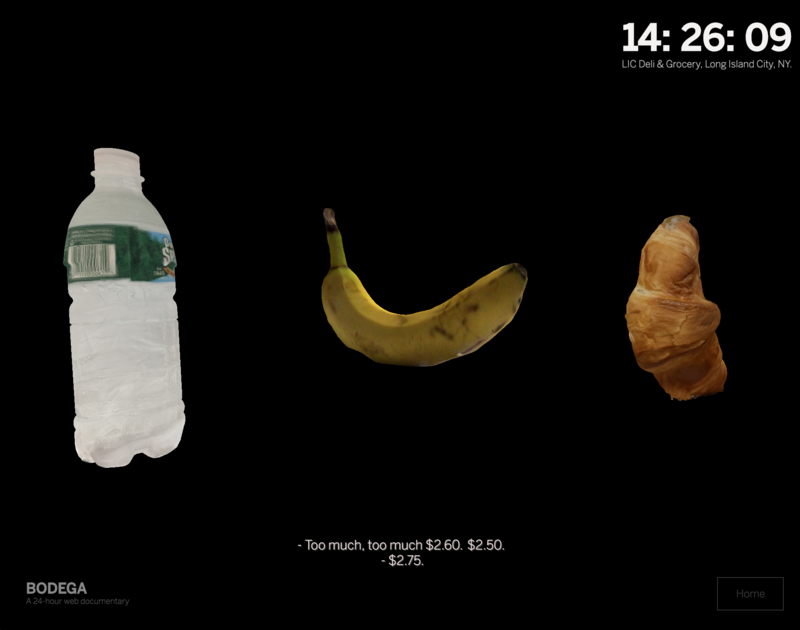 Interactive web visualization that allows to visualize and listen to economic trade data between countries. Using data from the UN. 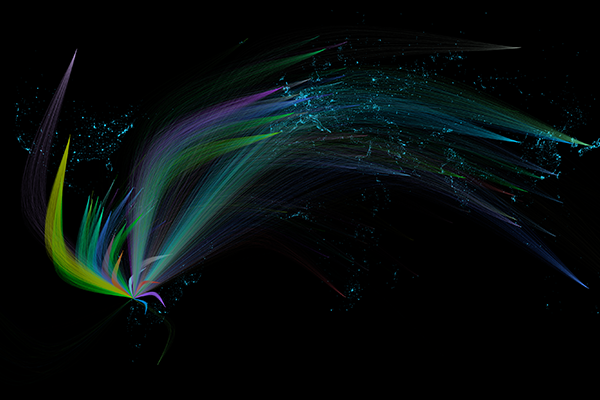 A data visualization of all registered imports and export of Chile in 2014 using data from the Chilean Customs Office. This project was exhibited at the III Regional OpenData Conference in Latin America and the Caribbean at Santiago, Chile. Why do people flee from a city? How does a city look when people need to leave to survive? 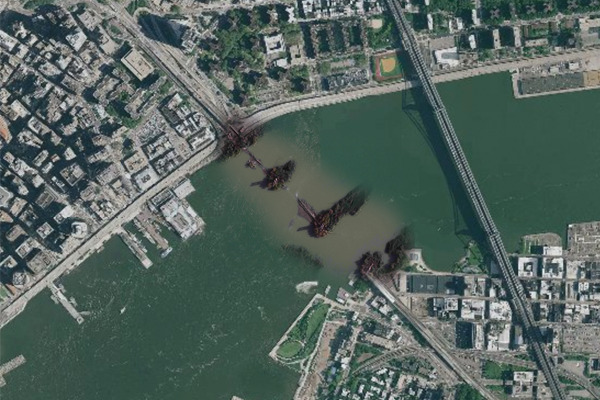 This map shows a satellite map of Manhattan and overlays it with satellite images from different cities in Syria destroyed by war. 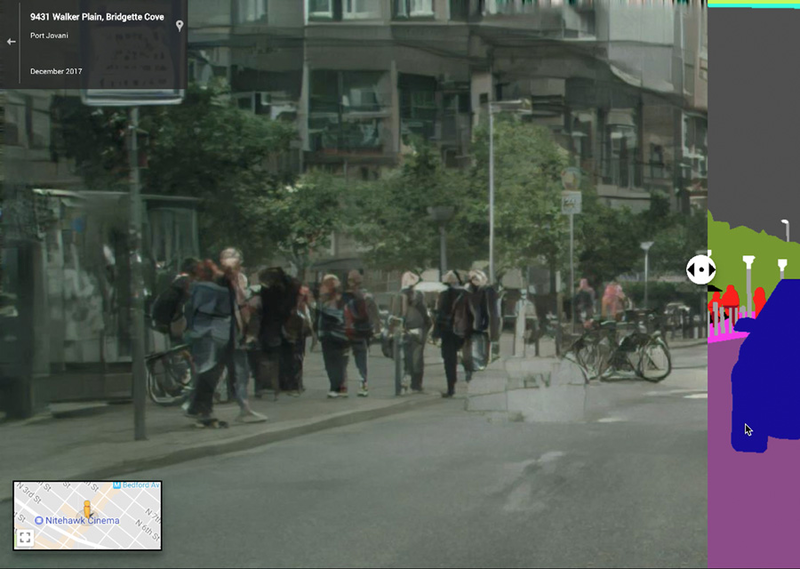 This project aims to explore how we perceive spatial information and maps based on our previous knowledge of a place. 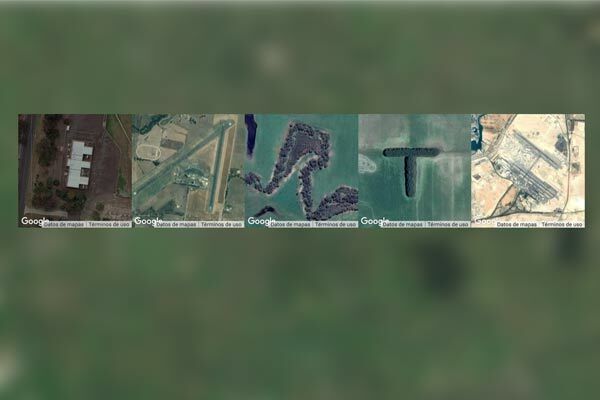 An interactive web experiment that creates a satellite image based typography. 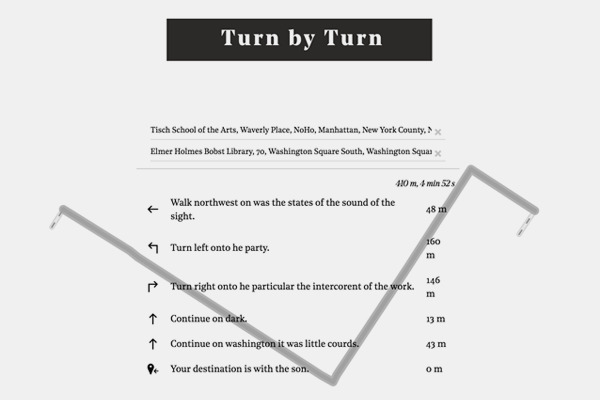 Turn by Turn is an experiment to generate random directions for a given route in a map. 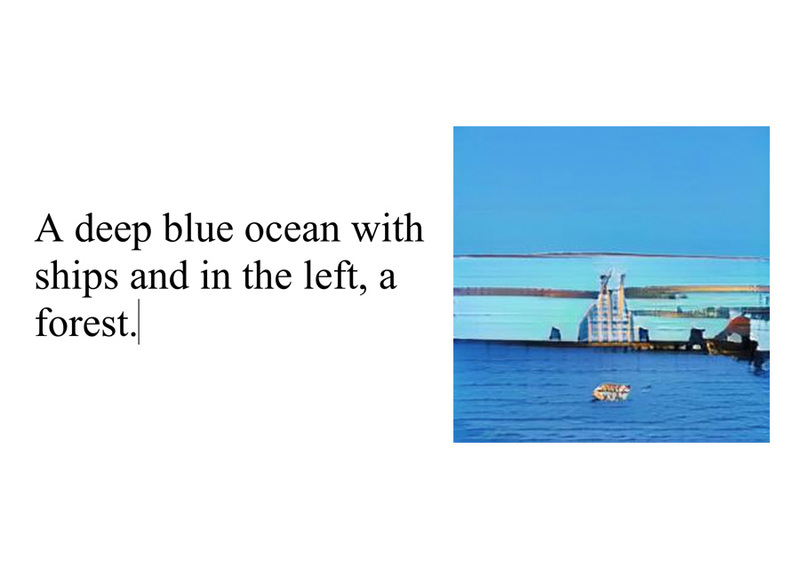 The directions are generated using Markov chains with a corpus based on literature and books related to New York City. The seed for each direction is the first two words from the original route. 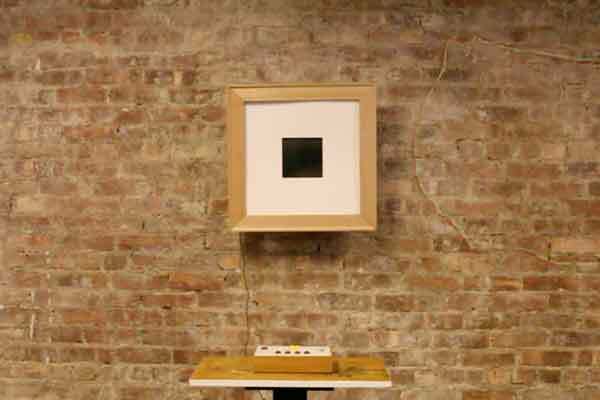 A small machine to visualize moire patterns. Each pattern is first generated in a Processing app and then added to the analog canvas, no screen used. Speed, position and direction can be controlled with the interface.